Let Shade Builder help you find awnings in Louisiana for your next shade project. These companies can help you with commercial and residential awnings and canopies. If you are looking for aluminum awnings we might be able to help you. If you sell, and/or install awnings in Louisiana, we would be happy to add you to this list. In fact, if you use this form, you also get a page all your own. C. Bel for Awnings is located in New Orleans and can be contacted at 504-891-3768. Some of the products they provide include canvas awnings, retractable awnings, aluminum awnings, vinyl awnings, screens and blinds. Cox Canvas is located in Houma and can be reached at 985-872-5640. They sell canvas awnings using the Sunbrella fabric. Custom Iron by Josh sells metal awnings as well as fences, gates and railings. They are located in Westlake and can be reached at 337-439-2944. Awnings By Design sells fabric awnings and canopies. 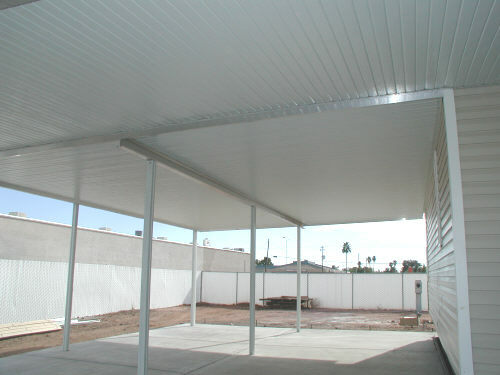 They also deal in retractable and aluminum awnings. They are located in Baton Rouge and their number is 225-355-5530. Smith Canopies, Awnings and More is located in Bastrop and can be reached at 318-281-2232. They sell and install aluminum patio covers, wood decks, pool enclosures, carports, glass rooms, screen rooms and window awnings. All these companies should be able to install awnings in Louisiana. Do you sell awnings in Louisiana? Tell us about your company so we can let others know about your services. Visit these pages to find awning companies in other states.